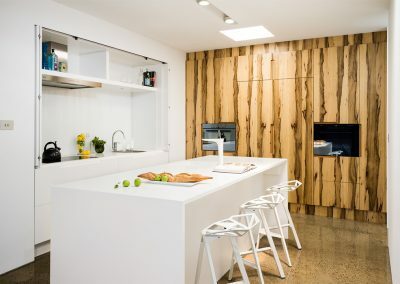 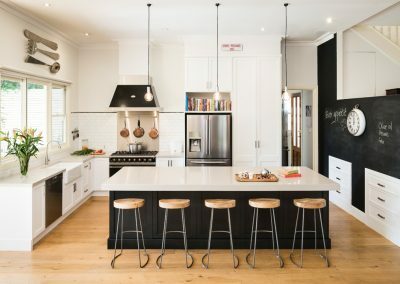 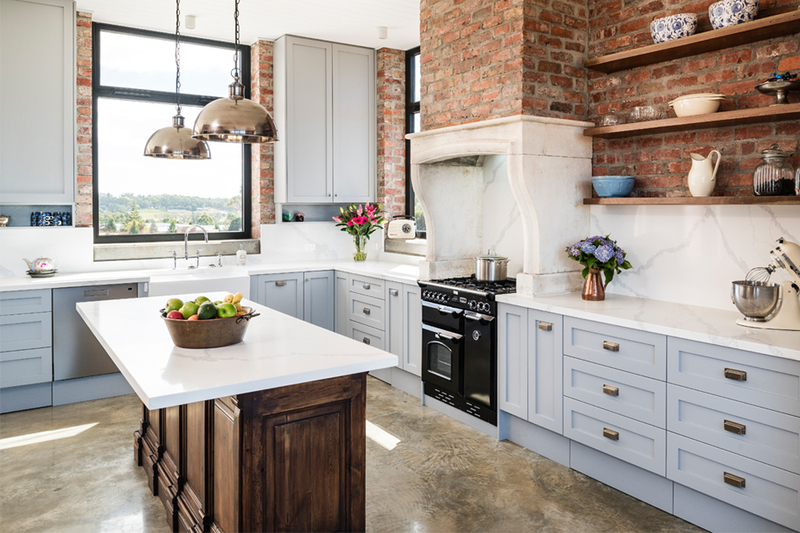 Built in the clients’ new home, this delightful kitchen combines modern and rustic design elements for a truly unique aesthetic. 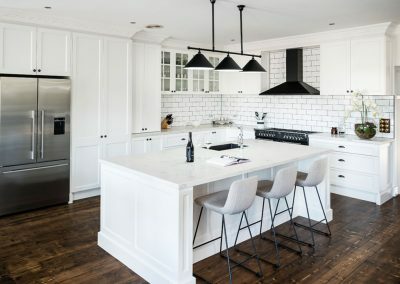 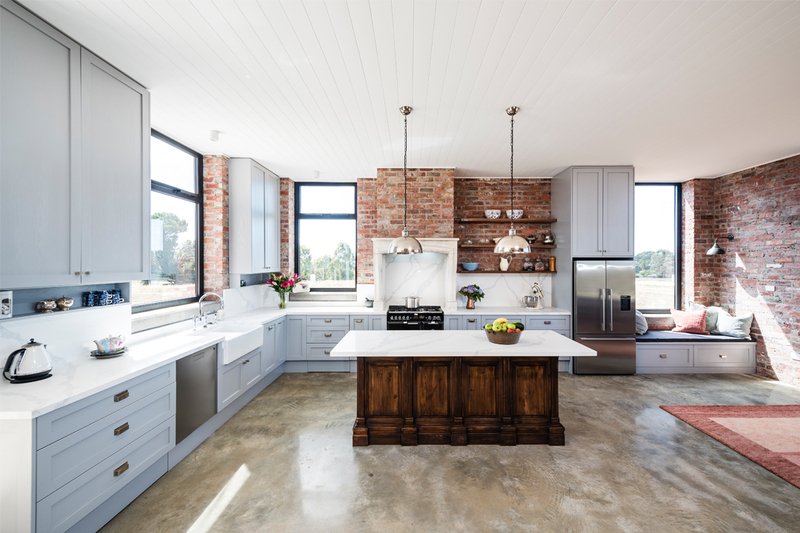 Expertly designed by Lynette van Toor and constructed by Smith & Smith Kitchens, the space features exposed-brick walls and polished concrete floors that contrast beautifully with the home’s crisp colour palette. 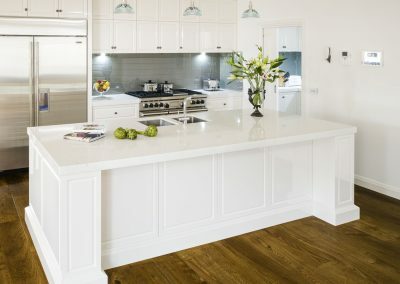 Showcasing a repurposed antique shop-counter base and a ‘Calacatta Sienna’ top from Lithostone, the island bench provides a striking blend of historic, natural and contemporary elements. 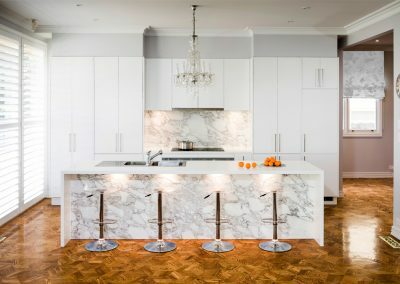 Complementary pendant lights were hung above the island to illuminate the workspace. 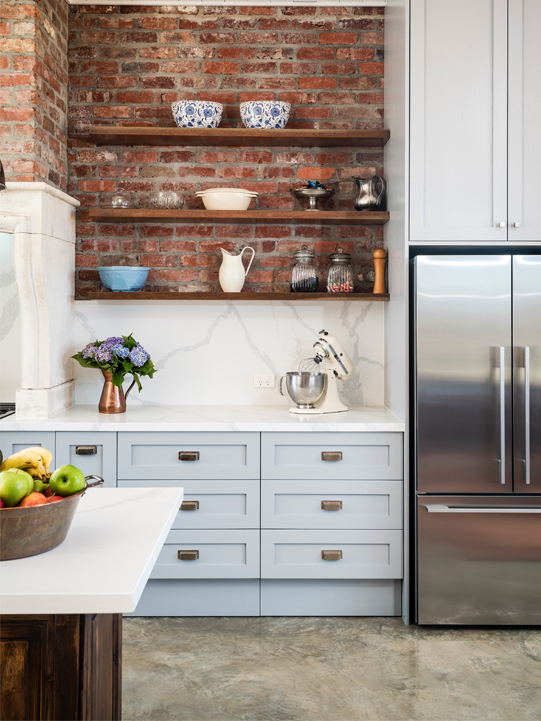 The kitchen features a natural-stone mantle that disguises a modern rangehood. 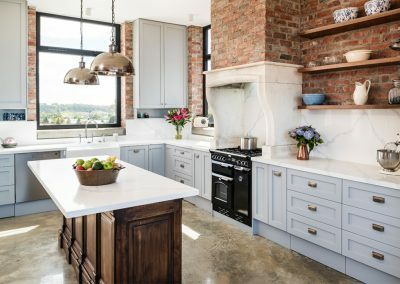 As the mantel is extremely heavy, Smith & Smith Kitchens liaised with the home’s builder to ensure the brick piers that support the structure were hidden from view. 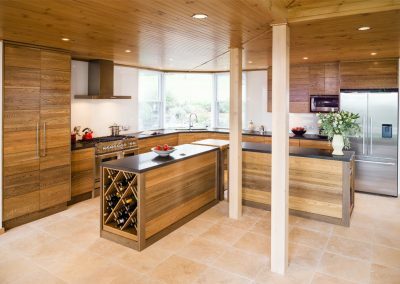 The homeowners wanted the kitchen to be a communal hub for their family, which was accomplished with a spacious layout and inviting details. 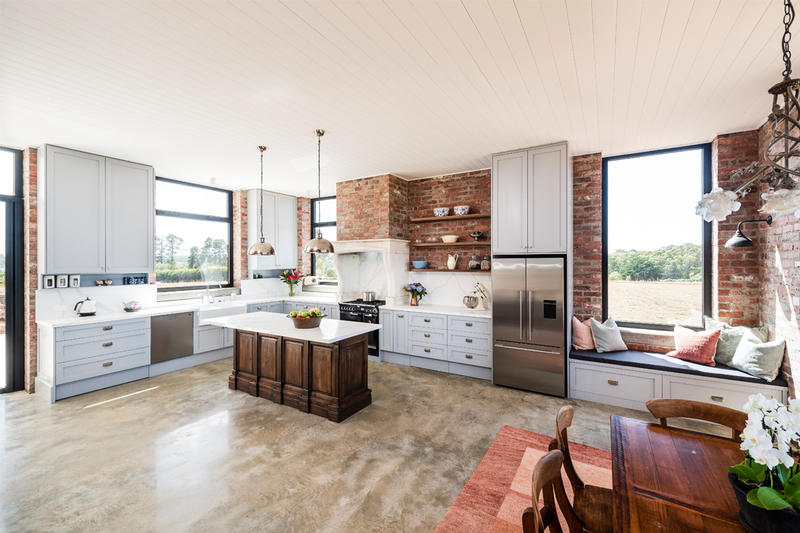 Smith & Smith Kitchens incorporated a bespoke window seat to provide a space in which to relax and take in the beauty of the rural landscape. 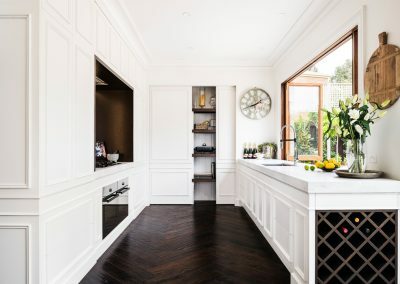 With a butler’s pantry, large drawers, and overhead cupboards, the kitchen has an abundance of storage potential. 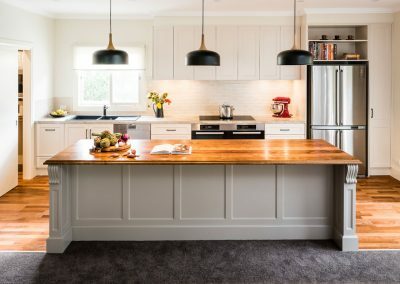 Shaker-style doors in a Dulux ‘Silkwort’ satin finish were selected for the American oak cabinetry, which has visible grain variations that provide added depth to the space. 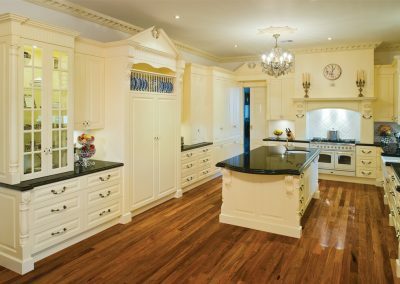 Fitted with soft-close hinges, the cabinetry is highly functional and pleasant to use. 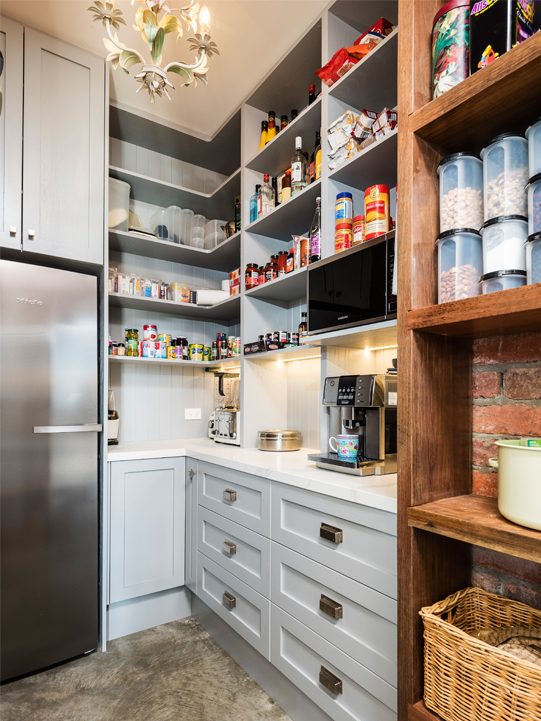 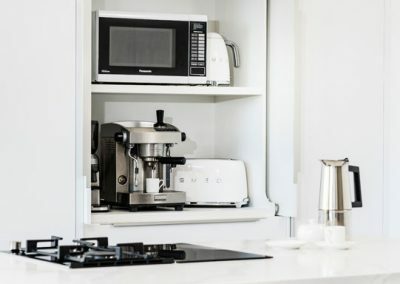 The open shelving provides a space for the homeowners to display personal trinkets, while the integrated sorting bins and kick-drawer hidden storage ensure the kitchen remains free of clutter. 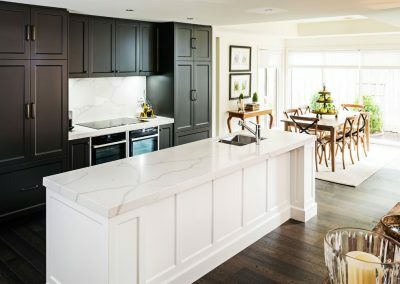 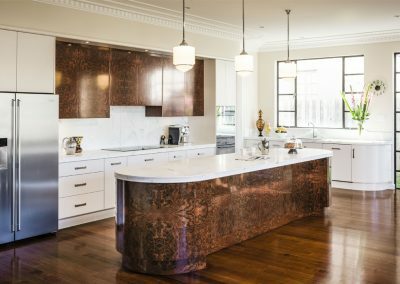 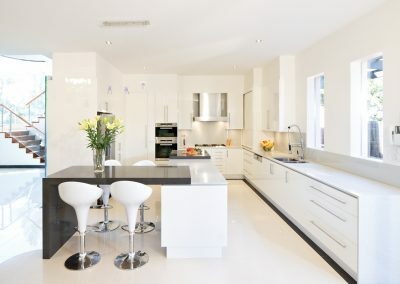 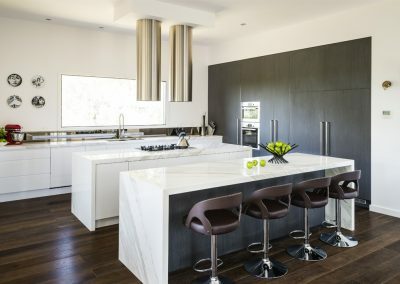 Established more than 30 years ago, Smith & Smith Kitchens is comprised of designers, interior designers, and architects. 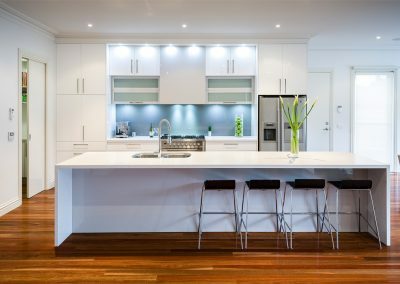 Servicing the Melbourne metropolitan area, the company has proved itself as an industry leader time and time again. 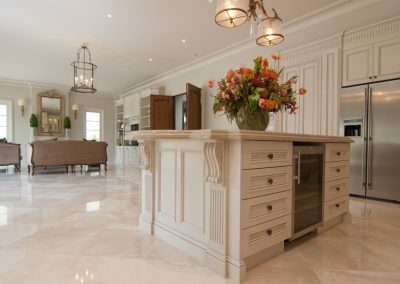 With the capacity to create exceptional spaces in any style, there is very little the talented team can’t achieve.